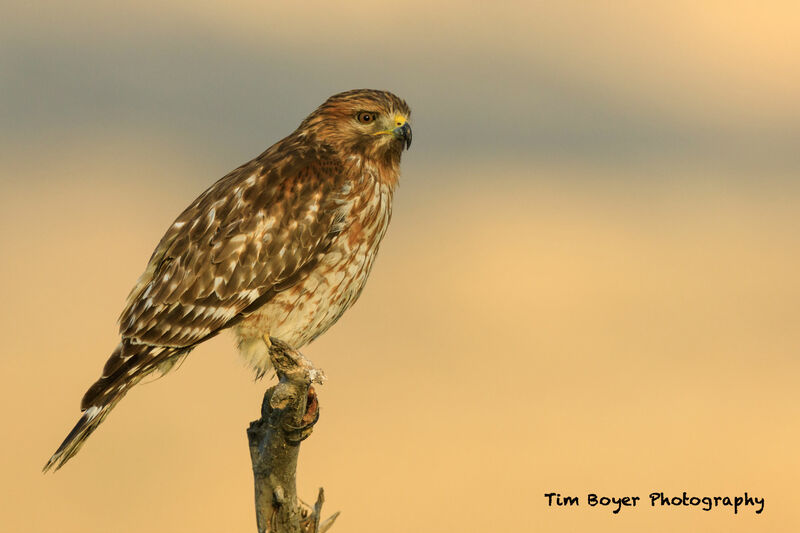 Editor's Note: This is a guest post by our friend Tim Boyer, a master bird photographer. While bird portraits are easier then birds-in-flight images, there are ways to make the portraits better. The goal with any bird portrait should be to create an image that shows the bird off in all its glory, beauty, and splendor. That being the case, here are seven tips that will help you do that! A soft background will help separate the bird from the background and put the focus and viewer’s attention on the bird. There are three easy ways to get a softer background. 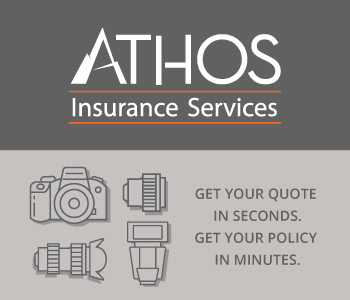 First, you can get a soft background by using a telephoto lens - 300 mm or longer will give you a softer background. Secondly, the more distance you can get between the bird and the background will also help make the background blurrier or softer. You could try to move around the bird until you find an angle that gives you the best background for the shot. The third way to get a soft background is to shoot wide-open like f/2.8 or f/4. If you’re lens has a minimum f-stop of f/5.6 or f/6.3, it just means you should focus more on the first two techniques. Learn more about how to get a soft background in the video above. Get eye level with the bird. Kneel, sit or lay down or use a ladder or some other way to get higher if the bird is above you. By getting eye level, people will find it easier to connect with the bird. 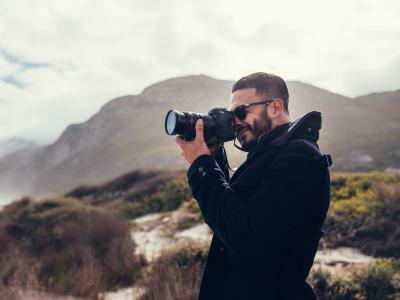 If you find it difficult to get low, the longer the telephoto lens you use will help decrease the angle, so it won’t seem like you are shooting down toward the bird. 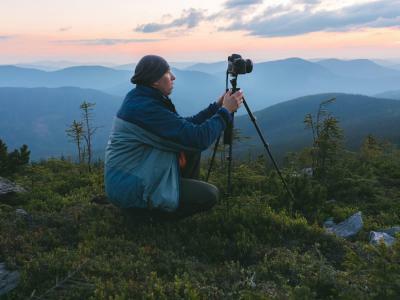 Quick Tip: Chapter 5 of Learn the Art of Bird Photography is all about designing the image, and there’s a section on getting a great point of view. If the eyes are sharp, the rest of the bird can be out of focus. In bird photography, usually the rest of the bird is out of focus because the depth-of-field is very shallow on a telephoto lens, and we all know that shooting wide-open gives us less depth-of-field, so just make sure one of the focus points is on one of the eyes. If the eye or eyes are sharp and there’s a highlight or sparkle of life in it, well, you’ve got a winner! 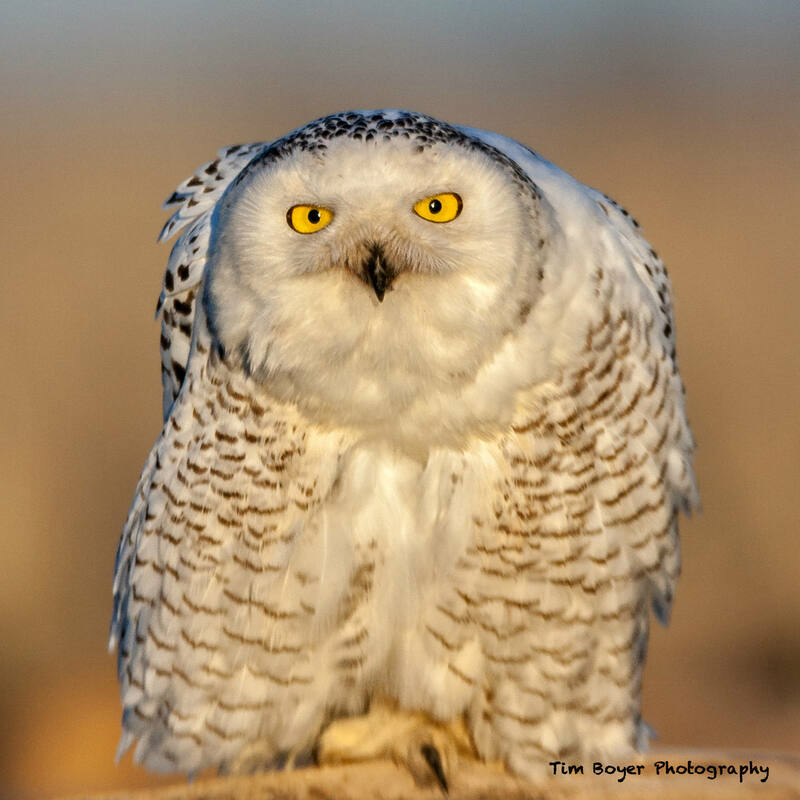 In this image the Snowy Owl above, its facial disk and eyes are sharp, but its body isn’t. Even with an aperture of 6/6.3 there wasn’t enough depth-of-field to get the eyes and the body in focus. But, those bright yellow eyes are very piercing, and that look stopped me in my tracks. Quick Tip: Chapters 7 & 8 of Learn the Art of Bird Photography are all filled with fieldcraft techniques like focusing on the eyes. The book is available on Amazon as a Kindle book or a paperback. Try to make the best composition you can, and that means that most of the time (99 percent of the time) don’t put the bird in the center of the frame. 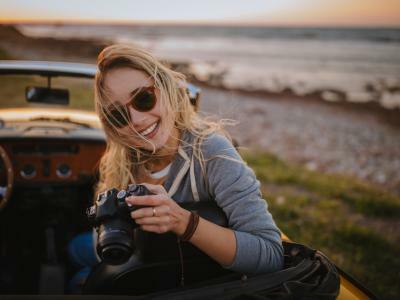 Or, if you take the image with the bird in the center of the frame because you had too, such as when the bird is far away and you want the sharpest image possible, crop the image so the bird isn’t centered. Having the bird smack dab in the middle of the frame just isn’t very pleasing or creative. 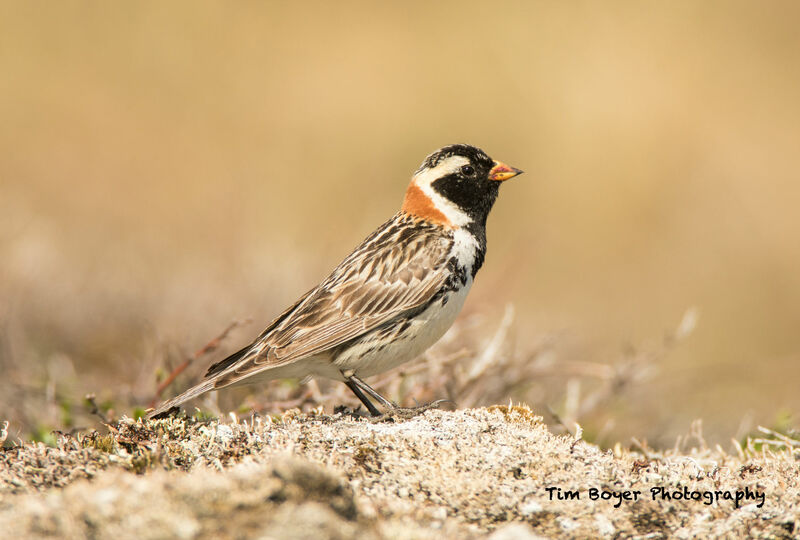 The first image above is how I took the photo in the field - the Lapland Longspur is pretty much in the center of the frame. I cropped the second image using the rule of thirds. 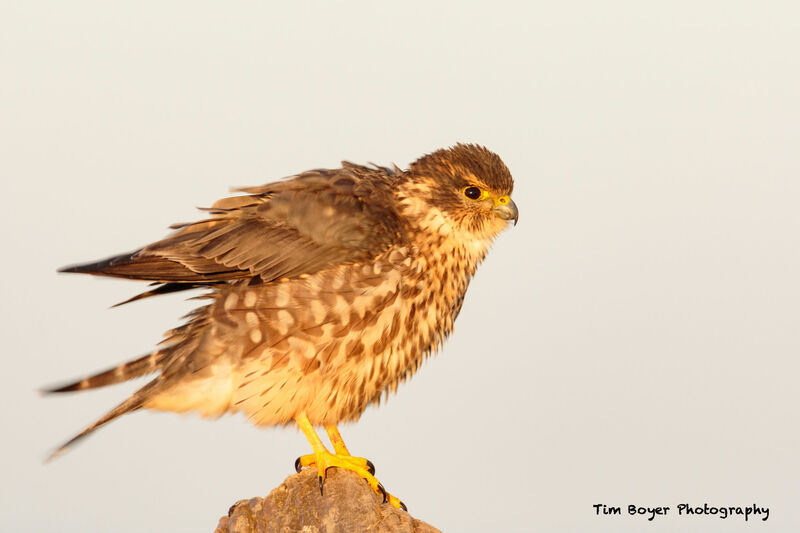 The top of the head touches the upper rule of thirds and the main body of the bird is on a vertical axis one-third. 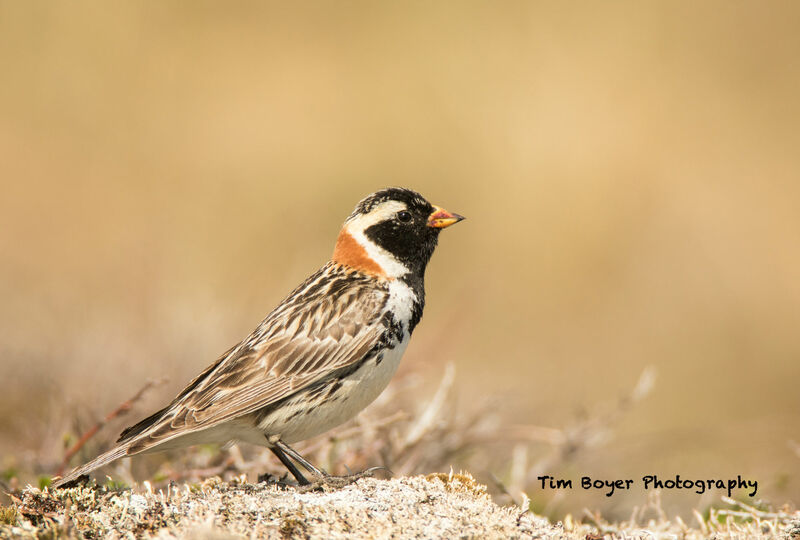 Quick Tip: Composing a great bird photo often comes down to a few basic tips. 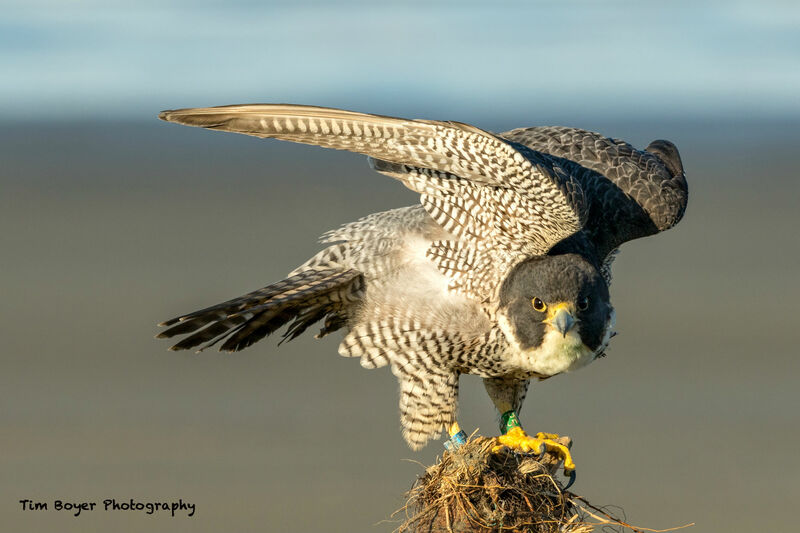 Learn the basics of bird photography composition. 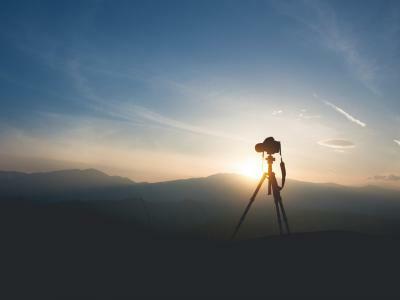 This tip goes hand-in-hand with the rule of thirds. Make sure the bird’s beak isn’t up against the edge of the frame. If the bird is looking to the left, give it some space in the frame to look into. 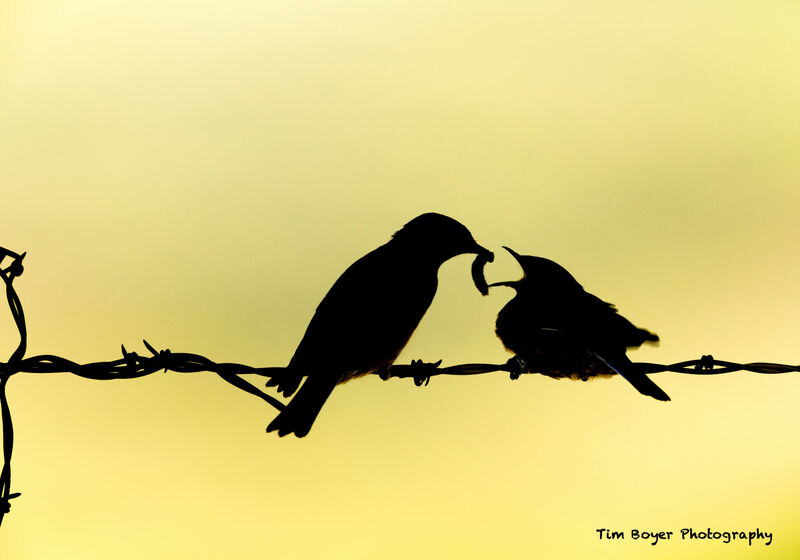 Usually you can put the bird on one of the vertical thirds lines and then the frame will balance itself nicely. 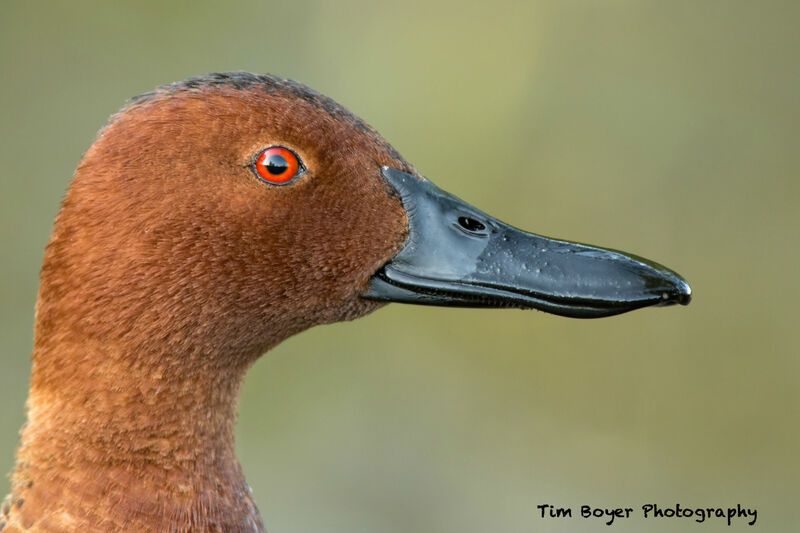 There’s more room in front of the Cinnamon Teal in the tight headshot shown above. The male Teal was pretty close and I used a super-telephoto lens to create this shot. I composed the image in the camera frame by moving the AF Point to the eye. If the bird looks directly at you, right down the middle of the lens, push the shutter button. Whenever a bird looks directly at you, it almost always works out. If there is some symmetry in the photo, it will look balanced and people will connect with the image. 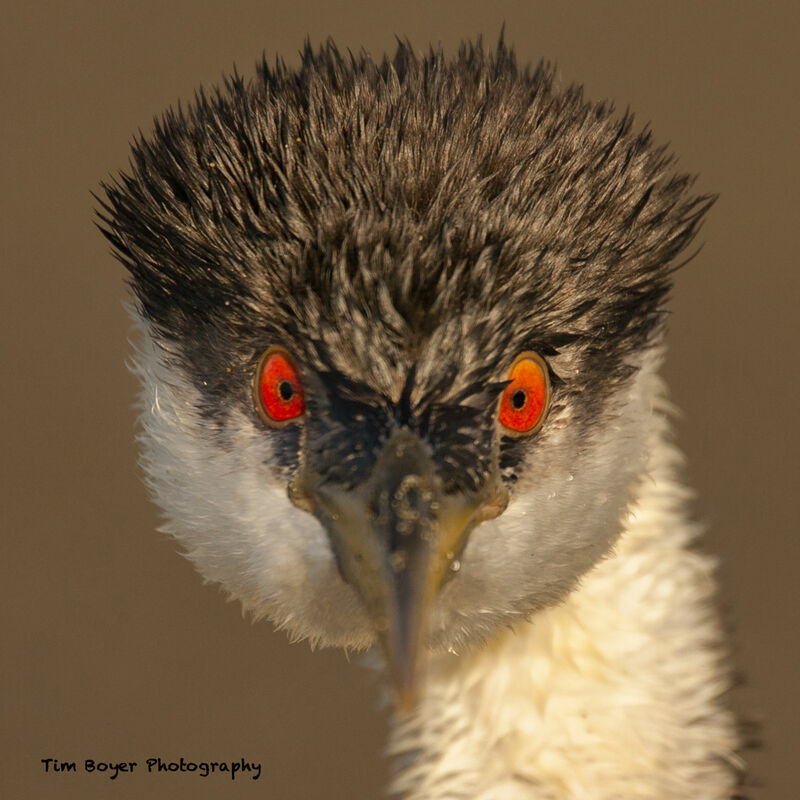 In this image of a Western Grebe, the red eyes, the symmetry of the bird in the image, and the tight headshot all combine to make a compelling photo. Try to work the subject. In bird photography, there’s a general rule that you should have the sun at your back and your shadow pointed at the bird. But try front, side, and back lighting to see if you can improve on the portrait and to see if you like the results. 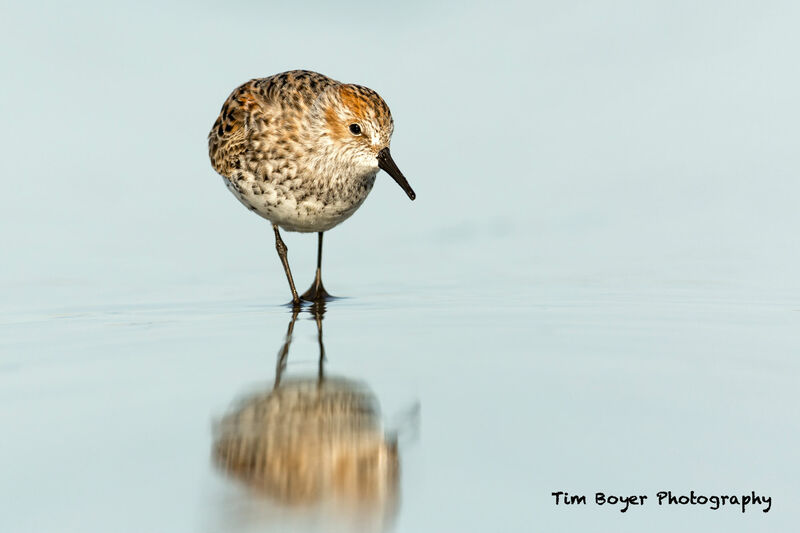 Editor's Note: To learn more about Bird Photography and explore improving your bird photography skills, check out Tim’s website for his Bird Photography Workshops at TimBoyerPhotography.com.